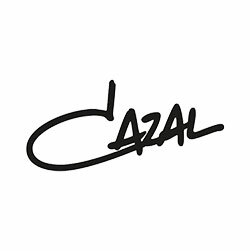 The first word that comes into our mind when seeing the Cazal eyewear collection is VINTAGE: the brand was founded in 1975 by Cari Zalloni, a man who thought that good design should always be provoking. Adored by the hip-hop scene in the 1980s, Cazal remains one of the most iconic eyewear brands in the world. The frames are important, oversize, epic, timeless and legendary. Cari is not with us anymore but his will is still passed on today making of Cazal one of the most sought-after original frames!